Colon Cancer is Preventable Through Screening. Colon cancer can be easily prevented; yet it remains the second leading cause of cancer deaths in the United States and will claim nearly 50,000 American lives this year. Many of those lives could be saved if people better understood the risks for the disease and would be screened regularly. 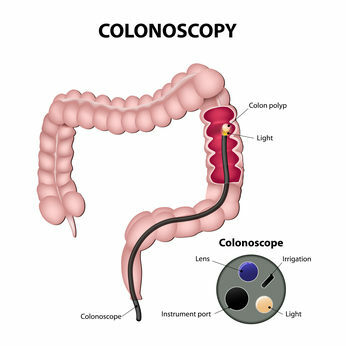 Colon cancer screening tests identify suspicious or pre-cancerous polyps, which can be removed before they develop into a serious health problem. "If we started effectively screening the people age 50 and over in this country tomorrow, we would cut deaths from this disease substantially and reasonably quickly," said Dr. Len Lichtenfeld, Deputy Chief Medical Officer, American Cancer Society. Preventing colon cancer altogether through testing is the ideal outcome, but early detection of the disease also yields important health benefits. Because, when detected and treated early, the five-year survival rate is over 90%. However, only 37% of colon cancers are detected in the earliest stages. Of those whose cancers are found at later stages, the five-year survival rate is less than 10%. If you know that you or someone you know would benefit from Colon rectal cancer screening, make an appointment with Dr. Pandya by calling our office at (559) 782 8533 for further evaluation and management.